Trump supporters and opponents across the political spectrum have been trying to spin the patently unlawful U.S. missile attack on Syria since it occurred on Friday the 13th. Some of those explanations (his naysayers) appear to be entirely accurate; however, many Trmpsters attempt to justify what is essentially a war crime. In view of the recent American attempts to transparently manipulate the U.N. Security Council to collectively approve of this war crime in Syria, it’s quite clear why the attack was conducted. (See: ‘Security Council, unite’: US, UK & France want UN to back their illegal Syria strikes) The NATO military powers have essentially set up new draconian rules. If there is even a suspected chemical attack in Syria henceforth, the coalition including the US, UK, France and Israel will summarily respond with an immediate military offensive. This extremely dangerous precedent allows these nations to strike Syria whenever they stage either a false flag gas attack or one that is a complete hoax. KEY POINT: As the de facto world policeman, the United States has been systematically used to incrementally destroy the rule of law. By consistently flouting the rule of international law over decades, an unbroken succession of U.S. presidents has greatly undermined the global order. Many a POTUS has been manipulated into this unfortunate predicament by the hidden powers that oversee the Oval Office. Some call it the shadow government; others call it the Very Deep State. Just like every illegal invasion or false flag attack perpetrated by the Western powers, there are various objectives they wish to accomplish. In the case of Trump’s second missile launch at Syria, the Zio-Franco-Anglo-American Axis seeks to impose their own arbitrary rule of law…upon Syria, the Middle East, and eventually the world-at-large. Foisting this perverted law of the land and the seas upon the world community of nations is certainly not a new enterprise. It’s been done as long as there has been empire-building. Make no mistake about it: the arrogant show of brute military force in Syria was about showing the whole world who’s boss. The US, UK, France and Israel are it. And Trump was chosen to lead this stealthy endeavor to establish a tyrannical rule of law around the globe—Yankee-style! No one can do it like the Commander-in-Chief of the U.S. Armed Forces, especially with Hollywood special effects and Mockingbird Media backing up the whole cynical production. Just like World War II, the Brits and the Frogs are always right there in a supporting role. Then there is the prime instigator—I S R A E L ! Just as the United States of America has been surreptitiously set up as the military arm of the New World Order, the covert headquarters of the NWO is Israel. The apartheid state of Israel was deliberately established as a criminal rogue nation that serves as the cat’s paw of the despotic World Shadow Government throughout the Middle East. Israel, in turn, uses NATO’s largest military forces to carry out the major invasions and/or occupations. The Modern State of Israel was given total command and control of the U.S. Federal Government so that the American military could be deployed whenever an international ‘police action’ was deemed necessary. Or, wherever an outright invasion was needed to depose an uncooperative junta installed by the U.S. and it’s allies. Herein lies the root of the problem: the most powerful militaries within NATO — U.S., U.K., France, Germany, and Italy — are completely controlled by the Rothschild banking cartel. The United States, in particular, is not only hosting a Zionist-occupied government (ZOG), the U.S. military answers directly to Tel Aviv. The numerous unprovoked wars of naked aggression fought by American troops and airmen since 1990 throughout the Middle East and Northern Africa clearly reflects this indisputable reality. The decision-makers in the Rothschild banking cartel will not tolerate any dissent where it concerns world governance. This particular banking bloodline has been running the show for millennia, and they will brook no opposition to their NWO agenda leading to their totalitarian One World Government. Well, not quite. But that’s the gist of the story. If there’s one thing the banksters really love, it’s the tremendous revenue streams that come with war. Protracted armed conflicts are especially profitable. The arms industry is one of the most lucrative there is. As Major General Smedley Butler once said, “War is a racket.” And so it is; perhaps even the greatest money-making racket of all time. Because the Military-Industrial Complex (MIC) is completely controlled by the banking cartel, their symbiotic and incestuous relationship guarantees a civilization rife with war. In the wake of so much death and destruction, the agents of disaster capitalism always show up to rebuild after the demolition phase of war has ended. Anyone who has watched the incessant warmongering in the Mideast has seen this exact dynamic at work for decades. Great swaths of the Northern Levant, for example, have been transformed into a dystopian post-apocalyptic wasteland. This ongoing scheme of purposeful and pervasive devastation is by design. Not only does such utter destruction send a message to any country thinking of leaving the NWO reservation, it produces a predatory capitalist’s paradise with a mere shower of bombs. The banksters are just like those personal injury lawyers who chase the ambulances; except their partners in the MIC are told exactly when and where to drop the bombs. What a racket? Those Tomahawk cruise missiles that were just fired at Syria were aimed at specific targets. What their precise payloads were is anyone’s guess. Some have even speculated that they were delivering newfangled bioweapons. Knowing the dismal record of the U.S. military and their black ops which are responsible for myriad war crimes, anything goes. Remember the DU dropped all over Iraq! Deliberate contamination of a entire theater of war with depleted uranium certainly constitutes a HUGE war crime, yes? Irrespective of what the purpose(s) was of illicitly launching over 105 missiles at a sovereign nation on 4/13/18, one thing predictably follows—chaos. That’s because the NWO globalist cabal first sow seeds of chaos wherever they intend to foist a new regime into power. C H A O S ! That’s what war always guarantees. An immediate future of political pandemonium, social tumult and economic mayhem always result to some degree. So do governmental disarray, financial turmoil and business disorder. Out of this post-war chaos, the NWO perps seek to create new state entities where lawlessness and anarchy rule the day. Only in this manufactured environment can the predatory capitalists take full advantage of the sheer desperation and overwhelming needs that inevitably manifest. KEY POINT: What the Neocons really accomplished with Trump’s war crime is that they artificially fabricated a new regime of international aggression. The US, UK and France have arrogated power unto themselves which permits them to invade countries who they falsely accuse of chemical attacks. The new standard of proof is merely their collective allegation of a transgression without presenting any proof. Not only are these rogue governments acting outside of and contrary to UN Security Council official process, they are in gross violation of the Geneva Conventions. The Powers That Be (TPTB) know full well that the only way to sufficiently soften up any population is to “shock and awe” them. Only when the people have sunk to certain depths of despair will they be open to the false promise of protection from their new masters. This is basically how nationwide protection rackets get started. That’s how many tyrannical and autocratic governments actually operate these days. It really is like General Butler said, only in this case war has become the predicate to lifelong protection rackets. Families and businesses in perpetual war zones around the world find themselves needing protection from all sorts of new enemies, most of them created by the local warlords in collusion with the banksters. This “divide and rule” strategy is the very basis of the New World Order. It’s explicit purpose is to re-engineer the entire civilization so that everyone is in just enough fear that they demand protection. This is actually the main function of their planned One World Government— a global(ist) protection racket. For those nations and societies that have been spared full-scale war, they are treated to countless other variations of the Hegelian Dialectic. Unrelenting false flag mass shootings and bombings are just two ways in which the populace is victimized by these shock and awe techniques. Ultimately, the citizenry will cede their rights and liberties for the false security promised by their Big Brother government. This Problem~Reaction~Solution blueprint is currently being utilized the world over, but primarily in ways that occur under the radar. Of course, the American people have experienced many different types of false flag operations over the years, as they have other types of physical attacks and psychic assaults. These highly manipulative machinations executed in broad daylight are designed to instill a sense of hopelessness and abiding powerlessness. In this way, even the most fiercely independent and anti-establishment Americans will succumb, so TPTB think. This is how the New World Order agenda is being implemented continent by continent, country by country, city by city. And every nation within the Zio-Franco-Anglo-American Axis plays a crucial role in this mostly furtive NWO enterprise. The USA, because of its post World War II position as world policeman, cannot be permitted to leave the NWO reservation. As much as President Trump expressed his intentions to liberate the nation from the grasp of the NWO globalist cabal, he is instead being insidiously co-opted by them. Because of how cunning his adversaries really are, he probably does not even know what’s really going on. The following article provides just a glimpse into what the POTUS now faces. The critical point here is that the power elite presently exercises complete command and control of the planet. That doesn’t mean that things cannot change. When they do, the reversal of fortune for the TPTB can occur in the blink of any eye. The real critical point then is: “When?” When will the patriots know that it ‘s time to light the torches and grab their pitchforks? Because the president really does believe that the American people and their property are more valuable than those of other countries, he has twice conducted a missile attack on the innocent Syrian government based on obviously false evidence. Even if either (or both) false flag chemical attack was committed by Assad’s forces, Trump had absolutely no right to play judge and jury, prosecutor and executioner in the matter. In so doing, he is playing God. The Trumpsters ought to deeply contemplate this message to the POTUS. President Trump is being used to shatter the international rule of law. Trump is now a proven war criminal. Trump just destroyed his presidency. Trump is a one term president, if that. There’s an utterly absurd narrative being promoted throughout the Alt Media that explains how Trump is somehow playing 5D chess with this attack on Syria…which is really “an attack on Deep State”, so they say. First of all, none of these commentators even know the most basic facts about the missile launch. Much of what they think they know comes from a LARP known as Q (aka as Q Anon). Simply put, these folks don’t even know what they don’t know…about anything regarding this unlawful military operation in Syria on Friday the 13th. Nonetheless, how can Trump or his diehard defenders justify such an egregious assault on the sovereignty of a blameless, war-torn nation like Syria. This distorted logic is a reflection of how desperate Trump supporters are to justify his worst presidential actions. With that said, Trump quite tellingly made common cause with two of the most reprehensible Rothschild-controlled globalists on Earth—Prime Ministers Theresa May and Emmanuel Macron. The US, UK and France together committed the war crime in Syria with Trump leading the charge. Which is why all three of them have been called Netanyahu’s Three Stooges. The Q Cult, in particular, is performing triple somersaults, blind-folded, while jumping through hoops of fire in a straight-jacket in order to justify Trump’s illicit invasion. Some Qtards even suggest he’s brilliantly playing 5D chess…covertly coordinating with Putin and Jinping behind the scenes. You really can’t make this stuff up! Q Cult, listen up, here’s how Trump decided to bomb Syria. No, it wasn’t 5D chess! And yet many of these same YouTubers and Facebookers, bloggers and journalists are well aware of the Greater Israel project and how Putin’s Russia blew it all up in 2015. They know that Trump zealously supports Israel and has even collaborated with Saudi Arabia to advance the disastrous “Ersatz Israel” scheme. This back story, by the way, is eerily similar to another one that took place in pre-World War 3 Europe. Adolph Hitler’s Third Reich was used specifically to establish the Modern State of Israel…by scaring the European Jews to Palestine. That was the real purpose of the Final Solution, not death by a fake Holocaust in Nazi concentration camps. The Zionists and Nazis conspired to systematically manipulate the Jews to emigrate to the Holy land en masse. Even Hitler wanted to “Make Germany Great Again”, and look where that got him and his adopted country. Trump now finds himself on a similar slippery slope. 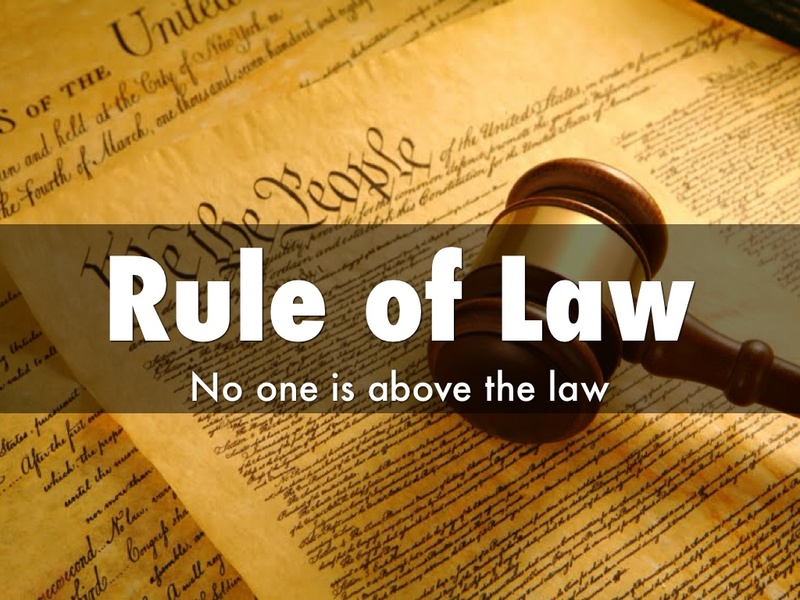 And based on his oft-repeated campaign promises, he knows that every unwarranted attack on another nation is a profound transgression of the rule of law. Even the notorious war criminal nation — ISRAEL — has taken advantage of Trump’s missile barrage to unlawfully attack Syria. The IDF has done this twice thus far; once by destroying an Iranian military base that killed 20, and a second time when: Israel Launches Airstrikes On Airbase Near Homs In Syria. And much more that will be exposed in due course of time…. Previous articleTRUMP Reality Check by Q²: Everyone needs to read this!